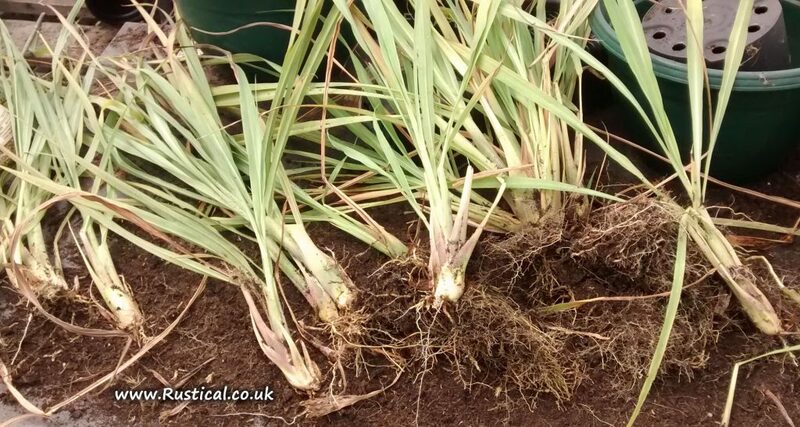 It’s a bit late but today I eventually got around to separating out the overwintered clumps of Lemongrass and re-potting them as single stems to make this years crop. All these lemongrass stems are from a one clump which in turn was a single stick of Lemongrass a year ago. You tend to get around 25 new plants from every stem over the 12 months. The difference between shop bought (air freighted) sticks and freshly cut homegrown lemongrass is poles apart and the fragrance given off when working with the plants is lovely. Once established, the new plants will be sold locally or potted on to make more plants for next year.